Precast Concrete Columns can be circular, square or rectangular. 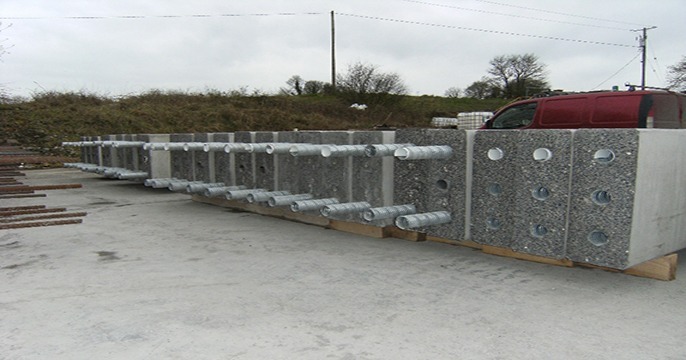 Reinforced Concrete Columns can be designed and manufactured to your specifications and can incorporate additional features and fittings. 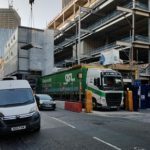 Precast Concrete Columns are generally considered for use on in-situ concrete flat slab projects where there’s a high demand on tower crane hook time and tight construction programmes. 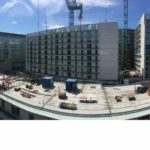 When considering the use of precast concrete columns it is generally worthwhile, progressing all vertical elements as precast by constructing the stair and lift cores with precast twin walls. 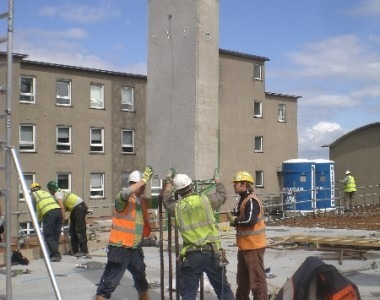 A Precast Column can be erected 5 times faster than an in situ column. Ability to achieve a high quality and uniform finish. Uneffected by site weather conditions. 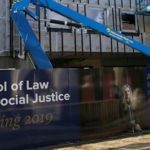 Reduction in labour requirement on site. 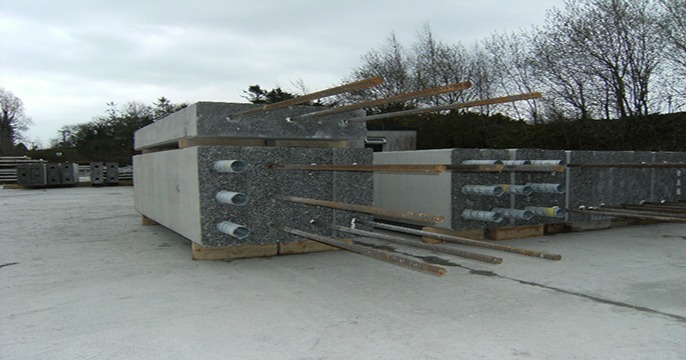 Eliminates the need for small concrete loads and evening pours which are a feature with in-situ columns. 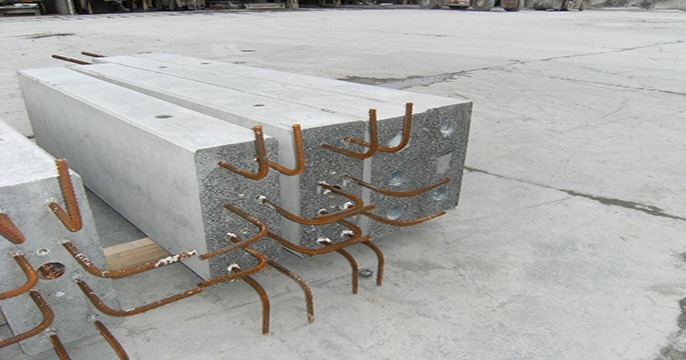 When using high strength concrete, a reduction in reinforcement steel can be achieved. The erection of Precast Concrete Columns is a silent process which can take place at any time day or night. 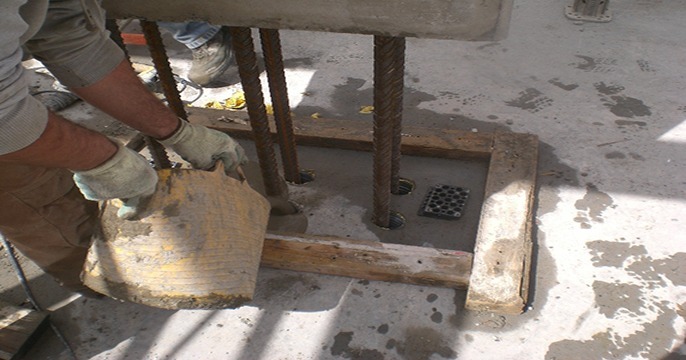 There are generally time restrictions on noisy site activities such as the pouring and vibrating of in-situ columns. 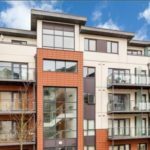 There is a substantial Health & Safety dividend when using Precast Concrete Columns. 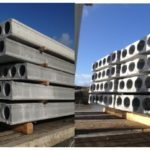 Precast Concrete Columns are Free!